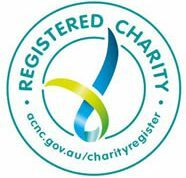 CAAH does not provide urgent housing assistance or accommodation. If you are in need of urgent housing assistance we recommend you access the NT Shelter’s Shelter Me website, available through all devices. 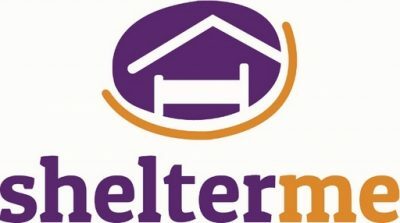 The Shelter Me website is an extensive homelessness directory with links to local services to help with such things as emergency or transitional accommodation, food, money, and other support services. CAAH offers a diverse but small range of long term housing options and vacancies are rare. Before applying for housing with CAAH, please read the general eligibiliy criteria below and contact our office to have a chat to one of our friendly staff. Our Affordable Housing properties at 6a Bloomfield St, Poeppel Gardens and the St Mary’s Precinct are targeted for working Aboriginal people and families. Rents under this program are charged at 75% of the Market Value of the property. Be able to live independently and have the capacity to manage your own home. To ensure rent is affordable for tenants, CAAH will also assess the minimum household income to ensure tenants are not paying more than 35% of their gross household income. If you meet the above eligibility criteria please contact our office to discuss your housing needs or complete the CAAH Housing Application Form Affordable Housing- Application. How to Apply If you meet the above eligibility criteria please contact our office to discuss your housing needs or complete the CAAH Housing Application Form Affordable Housing- Application. Allocations under Rental Subsidy Program are made through a referral process with our program partners. We currently do not have any vacancies under this program however, we are taking applications for the Private Renal Liaison Program. Housing on Town Camps is manged by CAAH under a ‘Public Housing’ model. Housing allocations on Town Camps are made by the nominated Housing Reference Group (HRG) which is made up by residents of the community. Whilst there are some Public Housing eligibility requirements to be housed on a Town Camp, generally housing is allocated by the HRG based on the applicant’s connection to and participation in the local community and the immediate need for housing. There are no income limits that will effect a household’s eligibility on a Town Camps and the Department of Housing and Community Development holds the final approval for allocations. To apply for housing on a Town Camp you will need to complete the DHCD’s Public Housing Application Form. This form needs to include the details of all people in your household and a copy of ID and income details for all people over 18. Applications can be handed into our office address.